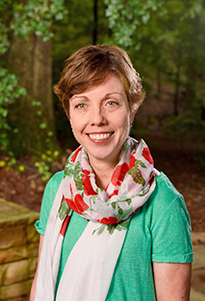 Barlow is associate professor and Alabama Extension specialist, and serves as the third Jordan Professor of Writing. She received her BS in Landscape Architecture, MS in Forest Management and Economics, and PhD in Forest Management from Mississippi State University. 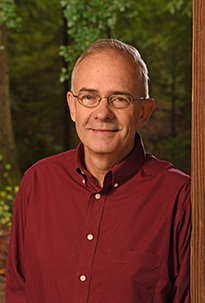 Barlow’s areas of expertise include economics of multiple use activities and timber management on private forests, Agroforestry, and Southern Pine Ecosystems. Ditchkoff is a Professor of Wildlife Ecology and Management. He received his BS in Fisheries and Wildlife from Michigan State University, his MS in Wildlife Ecology from University of Maine, and his PhD in Wildlife and Fisheries Ecology from Oklahoma State University. Ditchkoff’s research interests include ungulate ecology and management, wildlife nutrition, and sexual selection and advertisement in mammals. Lockaby is Associate Dean for Research and the Director of the Center for Environmental Studies at the Urban-Rural Interface. 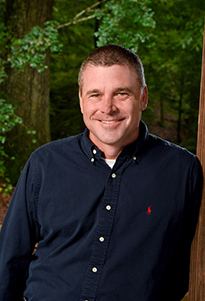 He received his BS and MS in Forestry from Clemson University and his PhD in Agronomy from Mississippi State University. 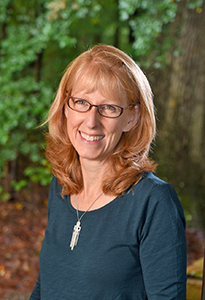 Lockaby’s research interests include biochemistry of floodplain forests, decomposition between nutrient circulation and NPP, effects of urban sprawl on water quality, and biogeochemistry of riparian forests. 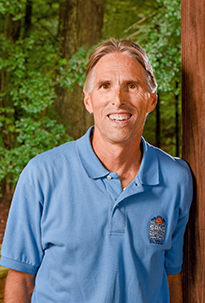 Samuelson is University Alumni Professor and the director of the Center for Longleaf Pine Ecosystems. She received her BS and MS in forestry from the School of Forest Resources at the University of Georgia and her PhD in forestry from Virginia Tech. Her general research interests focus on tree physiological responses to environmental and silvicultural influences. 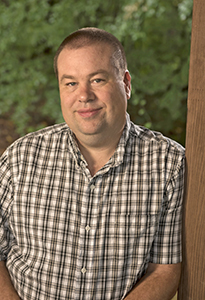 Smith is an associate professor and extension specialist and serves as the executive secretary of the Mosley Environmental Awards Program. He received a BS in Fisheries and Wildlife from Michigan State University and an MS in Wildlife Science and PhD in Forest Resources from Mississippi State University. Smith has expertise in outreach methodologies, management of invasive wild pigs, and wildlife habitat development. Tian is University Alumni Professor of Ecology and the director of the International Center for Climate and Global Change Research. He received his PhD from the State University of New York College of Environmental Sciences and Forestry and Syracuse University. 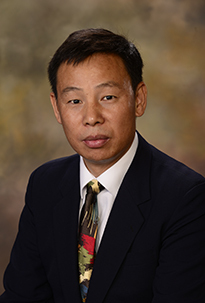 Tian is an ecosystem scientist and broad-scale systems modeler examining ecosystem processes and exchanges that occur at the interfaces of the atmosphere, biosphere, and hydrosphere. 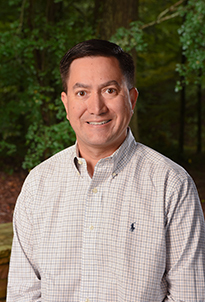 Via is an Associate Professor in the School of Forestry and Wildlife Sciences and Biosystems Engineering and serves as the Director of the Forest Products Development Center. Via earned his B.S. in Forest Products and his M.S. in Wood Engineering/Mechanics at Virginia Tech and his Ph.D. in Forest Material Chemometrics at Louisiana State University within the Agricultural and Mechanical College. Via is interested in new product development, nano-composites, the effects of wood quality on wood composite performance, and bio-composites. 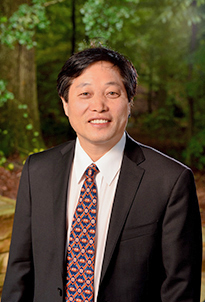 Zhang is University Alumni Professor of Forest Economics and Policy and director of the Forest Policy Center. He received BS and MS degrees from Southcentral Sci-Tec University of Forestry and Beijing Forestry University in forest science and forest economics, respectively, and his PhD in forest economics from the University of British Columbia. His research interests are the economic and policy aspects of natural resource management.